Steam is a natural remedy for congestion, cold and other nose ailments. If you have ever reached for a bowl with steaming water for therapy against allergy, cold, sinus, blocked nose among other problems, then you know the benefits of steam. Steam inhalers offer a convenient way to create steam. They are created with a small water receptacle which when plugged produce steam instantly. In some inhalers, the steam wafts out while in newer models, the steam comes out as a stream. Steam inhalers are designed for different functions. If you need a steam to ease congestion, buy one designed for that. 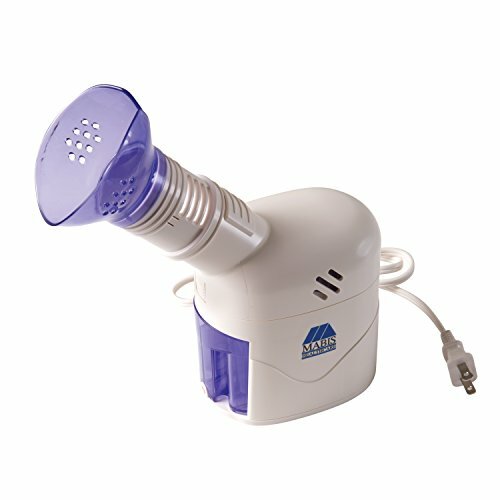 You need a steam inhaler that can just be plugged or runs on batteries and produces instant steam. If you need a steam inhaler to take on your travels, then be sure to buy a compact model. 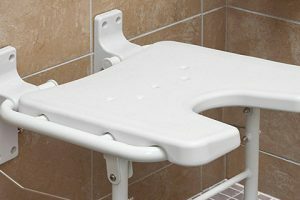 There are table top models that can be used at home. This has to do with the durability of an inhaler; most are made of solid plastic which won’t rust and lasts long but some are created fragile. There are inhalers created to accept essential oils as a way of spicing up the steam. If you need one like it, check that the inhaler has aromatherapy capabilities. Most inhalers remove steam via a mouthpiece. You can adjust the volume of steam produced and the flow. Most steam inhalers will produce steam in between 5 and 20 minutes. Choose one according to your needs. Your budget will determine the inhaler you end up with. Basic team inhalers that boil water to produce steam cost about $30. If you will be using your inhaler quite often, choose one that converts lukewarm water to steam instantly; this may cost up to $200. We’ve researched some of the best steam inhalers on the market today to bring you this comprehensive list of the best devices to help relieve symptoms of bronchitis, colds, flu, laryngitis, rhinitis and much much more. 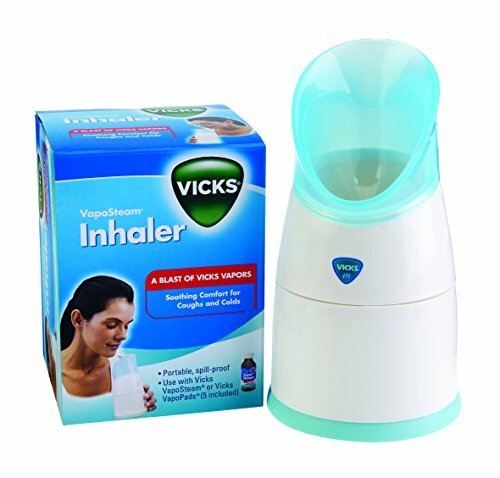 Vicks Personal Steam Inhaler sports a stylish design that makes it cool as a tabletop model. The inhaler is designed with a self-regulating heater that produces steam in between 5 and 15 minutes. This inhaler offers soothing steam penetration to sinus, nasal and throat passages to relieve the user of cold, bronchitis symptoms, allergies, sinusitis, laryngitis and flu symptoms. It is designed to restore moisture to the user’s lungs for efficient function. This personal steamer is designed with a white plastic hood that has been contoured to cradle the user’s face perfectly, enhancing steam penetration. Its base holds water before its boiled. You will be able to regulate the amount of steam produced from the inhaler thanks to the adjustable control. The inhaler is compact enough and has dual voltage for those who travel a lot. You can use it with Kaz Aromatic Pads to produce menthol vapors. 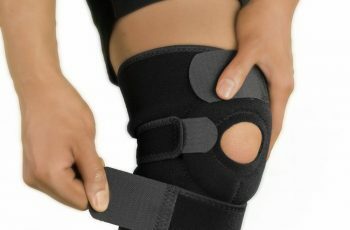 It is offered with a 1-year manufacturer’s warranty. Really user-friendly. Easy set up. Very compact and portable inhaler. Only 1.2 pounds in weight. Ideal to be used if you have a cold, flu, nasal and sinus congestion. Plastic parts aren’t the strongest, and is hot to touch when heated up. Works by boiling up the water inside the main container, which could prove to be dangerous when you need to move the device. The Veridian 11-525 offer a natural and effective way to relive symptoms of allergies, bronchitis, cold, laryngitis, rhinitis and sinusitis among others. It is offered with a beauty mask that enhances aromatherapy and also facial treatment. 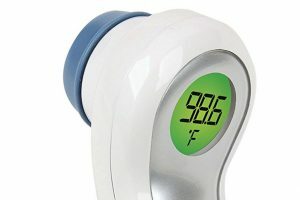 It has a steam adjustment knob that allows the user to regulate their treatment. In between 6 and 9 minutes, the inhaler is able to produce enough steam for treatment. The design makes the inhaler easy to use and easy to clean and is offered with detailed use and cleaning instructions. The package comes with a long 5-feet power cord. The construction is latex free and safe for use. Mabis is created to assuage the symptoms of respiratory ailments, common cold, sore throat, cough, allergies, laryngitis, flu, bronchitis, asthma and sinusitis among others. Besides that, it is designed with a facial mask that directs steam to the face to cleanse pores and rejuvenate the skin. The vaporizer operates quietly, fast and efficiently. The construction of this inhaler is latex free and soft, offered with a flexible mask that fits different faces perfectly. It has an extension tube that enhances steam penetration. 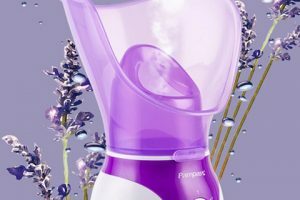 It has a drain tank for excess water and an aromatherapy tank where the user can put essential oils for a better aroma. You can track the proceeds of your steam thanks to the presence of an indicator light. A measuring cup and a 5-foot power cord accompany the inhaler. MyPurMist Handheld Steam Inhaler is created with a sophisticated sleek design. As its name suggests, it is a handheld device compact enough to be carried when traveling. It relieves users of symptoms of sinus, congestion, cold and allergies. The inhaler is highly effective producing instant mist that penetrates into sinuses, throat and nose. Operation is as easy as all you need to do is press ON. 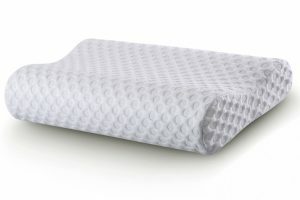 It is created with patented hospital technology enhancing delivery of germ-free steam. This inhaler can produce steam from lukewarm. Uniclife is created for beauty and for health thanks to its face mask. It produces steam fast, with a speed of 2.4 mhz. For those who travel a lot, the inhaler comes with dual voltage to enhance its usage. It produces a steam volume of 0.375m per min. 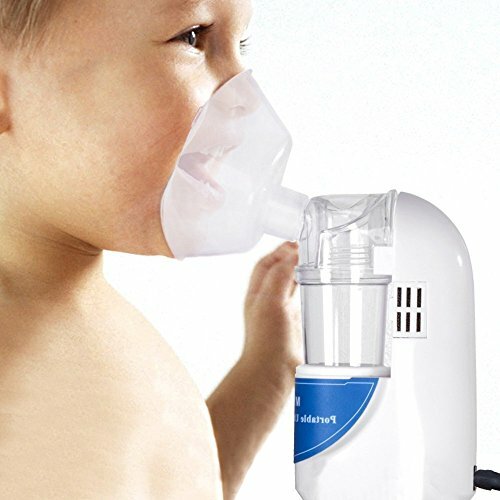 after 20 minutes of running continuously, the inhaler shuts off automatically. 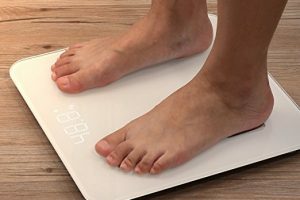 It weighs 159 grams thanks to its sophisticated plastic construction. With this weight, you can use it while holding it. The package is offered with a DC transformer, two masks (small size and big size), 2 rodent spigots, 5 cups and a user manual. 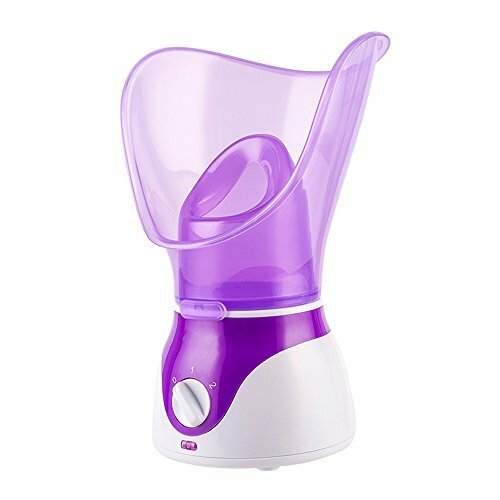 Feellife 360 is a compact steam inhaler designed to offer fast inhalation treatments. It is lightweight and is ideal as a travel inhaler. It offers symptoms relief for asthma, emphysema among other lung illnesses. This inhaler produces cool mist unlike other brands that produce hot steam. 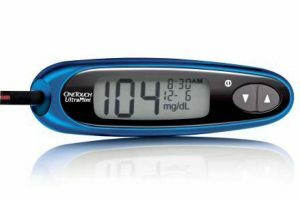 It operates quietly and operation is easy; press ON button and wait for a few seconds. You can use tap water or any ordinary distilled water, the mist produced is not affected. 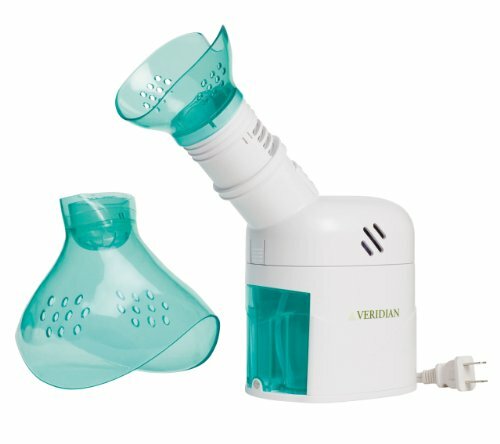 The inhaler has two airflow controls; you can regulate the speed of mist produced by the steam inhaler. Its design makes it ideal for use by all ages. Primarily this steamer was created as a professional facial steamer. Can be used on dry skin, oily, sensitive and any other type of skin. It opens up pores and removes dirt and bacteria making your facial skin supple and smooth. It is offered with an inhaler attachment that can be used in the mouth or nose to relive the user of respiratory problems. The inhaler comes with a safe automatic shut-off after 20 minutes. Its vaporizer pot is made of aluminum which is not only highly durable but also light enough to be carried while traveling. It runs on AC current and its temperature is thermostatically controlled. It is kept safe by an overheating protection device. The inhaler is offered with a flexible facial mask that makes it ideal for use by all ages. The mask enhances steam penetration. 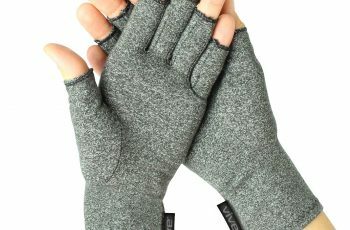 The Vicks V1300 is created with a sophisticated design that makes it look stylish and makes it easy to use. Like its name suggests, it is a portable product that does not run on electricity or batteries and instead generates steam from already hot water. This is unlike other devices that have to be connected to a power source to produce steam. While this feature makes it portable and makes it easy to use, you will have to heat water (separately) and pour it inside the inhaler. It offers aromatherapy and works well with menthol, eucalyptus oil, glycol and cedar leaf oil among others. Therefore, it is offered with 5 scented pads. It is an inhaler for those who suffer from sinusitis and other respiratory conditions. 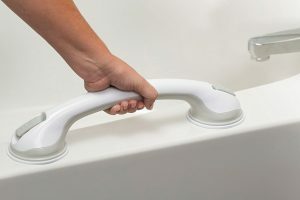 It is dishwasher safe and the manufacturer offers it with a one-year warranty. 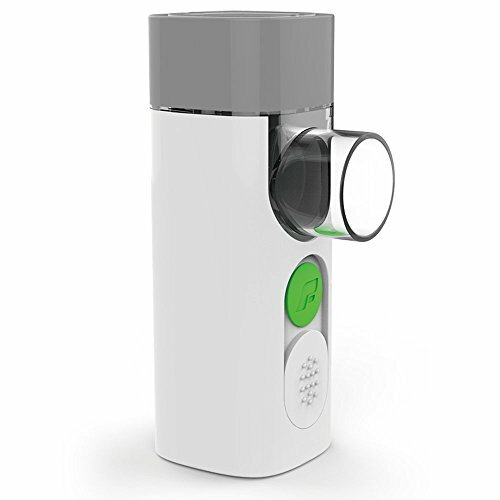 This is a sleek steam inhaler designed to produce steam in three minutes or less. It produces steam continuously for up to 30 minutes. You can set high or low steam generation. With its enhanced steam penetration, the inhaler clears nasal, throat and sinus passages to relive the user of symptoms of cold, flu and bronchitis. 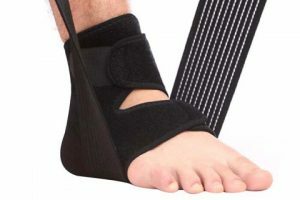 It is compatible with essential oils and liquid medication as recommended by your doctor. 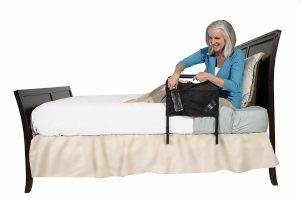 The 3 in 1 steamer acts as a steamer, a powerful humidifier and a towel warming chamber. Besides enhancing your beauty, steam from the inhaler, especially when used with additives such as oils and liquid medication, improves blood circulation and metabolism. The unit features auto shut-off function to prevent it from overheating. 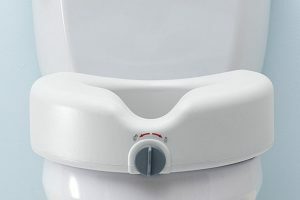 It is easy to use as you will only require water and comes ideal for adults and kids. 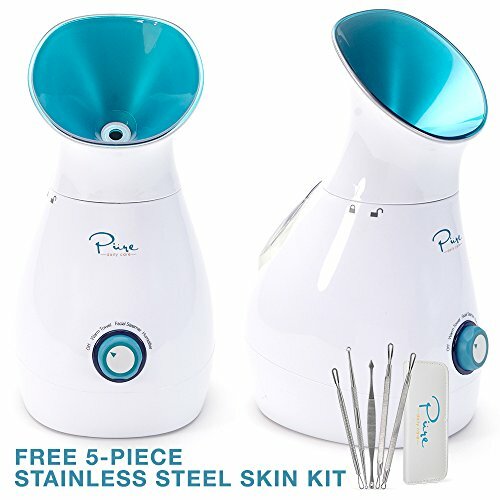 It also comes with a 5 piece surgical grade stainless steel blackhead and blemish extractor kit. True to its name, this inhaler is portable; handheld and ideal for travel. 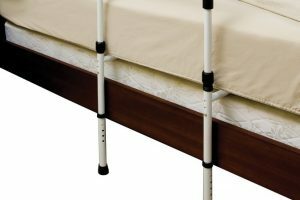 Its specially designed for kids as it has a unique sleep lamp and music to help them drift off to sleep when they are feeling a bit poorly. You can regulate steam speed from low to high. It operates quietly. You can use this as an inhaler to assuage symptoms of sinusitis and other respiratory defects; can be used as a facial steamer to open pores and remove dirt and bacteria on skin and as an interior humidifier. 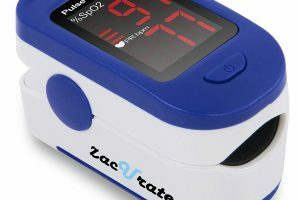 This inhaler is created in two working modes; 5 mins and 10 mins timing. It has aromatherapy capability and as such, you can use essential oils and menthol among others. When using it as an inhaler, use a mouthpiece and when using it as a face steamer, use a face mask. It produces mist instead of hot steam.